Or just chaos in general conversions, as they still have a bunch of chaos iconography. Either way CONVERSIONS FOR EVERYONE! you forgot imperial guard, which have pretty old models. other then the scions the IG plastic kits are just as old as the eldar plastics (both are needing updates) and many of the regiments are still metal (it would be nice if we atleast got an upgrade sprue for them), not saying eldar don't need it too, but I think the IG need it aswell. Yeah IG needs some new models. But rules wise they are pretty good. Especially with allies of over half (probably 3/4) the factions in the game. Elder had a good codex at open of 8th but then GW didn’t stop making everything stronger than the last codex. And brought in Knights and superheavies into regular play. Eldar kind of fell behind and Ynnari got so badly nerfed it’s the KO of 40k. Don't want to be "That Guy", but let's focus on our nonexistent rumours, anybody heard anything about Adepticon? I heard that I am tired of waiting for Darkoath. edit-- my source is solid. I heard that the next Stormcast chamber is all females. But going for the Amazonian bodybuilder look to counter the slender Witch Aelf motif. Someone put an aos mini in a 40k preview by mistake!! Seriously though, just remove the backpack and the cable on his axe and you are good to go. That Ork update was ok - and that is pushing it. They dropped the new various buggies and that was it despite trying to build the hype train for a Orktober and a huge release. The buggies are all nice mocels, but half of them are fairly DOA due to lack-luster rules. They made 6 completely different vehicles but were unable to create 6 sets of compelling roles for them to fill - so half of them are simply outclassed by the other half since they are vying for the same role. The models all look excellent though. And then they ignored half of the existing range that is either missing options or could use updates. Tankbustas & kommandos are still expensive old resin kits that don't fit the aesthetic for the rest of the range. There is no mega armored warboss option. There is still no Deffkopta kit other than the old character GorkaMorka model. The Weirdboy model was terrible when it was first released, is resin, and has not at all got better with age (at least the Weirdnob makes a good base for a conversion). They could have done a lot better with the Ork release. I hear it's next week sometime, and rumor has it that I'll be there. So let me get timelines straight. The studio preview is on wednesday afternoon. Which means that it's on thursday morning for us living in europe, right? Do you have a minute for speed freeks, sir? The boxed game? I think it is great. However, it is a bare-bones one-off game that probably will be discontinued before too much longer - especially now that the exclusive buggies it contains have been released as individual kits. From my experience all of the different vehicles have good rules within that game. 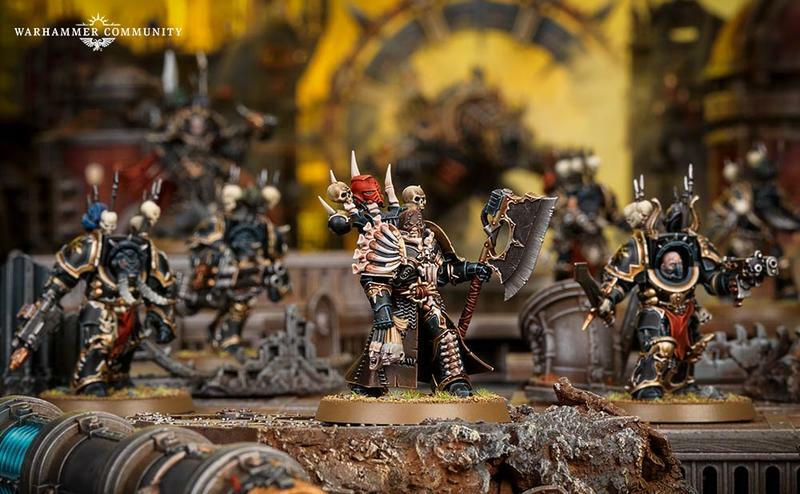 However, lets not pretend that the main target of those kits is not the main 40k game and that this game was simply a way to package up the initial models and get some extra cash out of them. I like that box. I bought it. I think the game is fun to play as a quick little game and thankfully all of the vehicles seem pretty well balanced within it. However, the rules in 40k for each of those vehicles is drastically different and they did a poor job carving out a useful niche and effectively costing the various vehicles. Sadly the squig-launcher trukk rules are just plain bad. Thankfully the dragster, trike, and rocket engine all pretty good. Overall it was a mixed bag for a release. They really should have done a better job on the rules for new models. Model-wise I want to have big squadrons of all of the vehicles roaring around the table while I yell "Witness Me" and call my opponent's stuff "Mediocre!". But sadly the rules make it hard to pull the trigger on spending that much money. I love Orks enough that I just may do it - but I do wish GW rules team had put in a bit more effort (kudos to the miniature design team for those models though). Why won't gw let me give then money. Also will flip a table if I can't paint them green and put them in with nurgle. 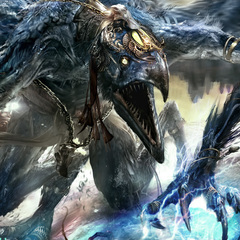 At least we know why the Darkoath Chieftain from The Silver Tower is sneering. That is GW, mocking our desires while knowing we will instantly forgive them the moment I see a glorious Darkoath Battletome cover. As Gandalf once said about me, "Austin both loves and hates the GW as he loves and hates himself." Or close enough to that anyway. Bit off topic, but has there been any peeps for Ironjawz at all? Seems things have been pretty quite for destruction's poster boys. Being an early tome we might see a shake up tome for them this year honestly. Other than a TON of "like" verbal filler (and perpetuating the prefix "meta" as an actual word), it's pretty darn engaging! Thanks for the suggestion again. ‘Meta’ is a word of its own now, in certain contexts. Funny how language does that. No. It's not. Ignorance does not need to be accepted. Also, now I'm 3 hours into my WW experience. Less thrilled. There is a level of ego that is off putting. But, issues with the personalities and grammar. Really, I'm not going for "a hole" on this. For f's sake, it's AMAZING that folks like Vince are putting out fun content. Hellz yes, bring it. I'm just saying that my very fussy (based on career in marketing and sales and love of grammar) views make me have super high standards for what I watch. Haha Dumb dumb me. I skipped those as I thought they all wore red armour. The only thing I thought I knew about 40k Thanks!